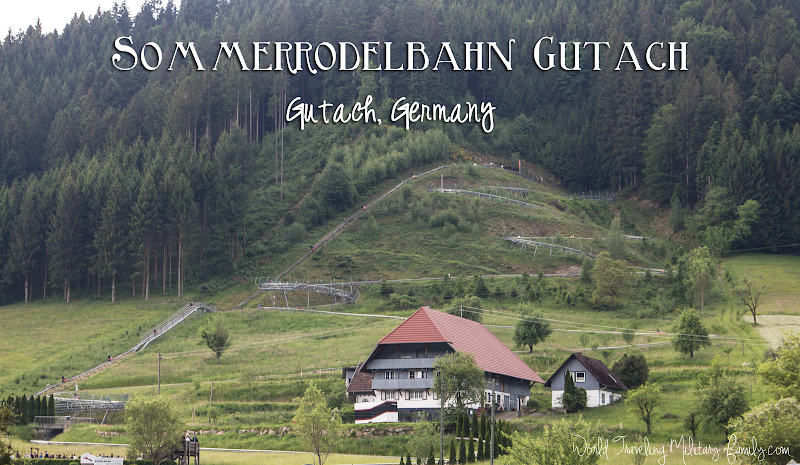 Sommerrodelbahn Gutach is an awesome summer toboggan run is located in the Black Forest! 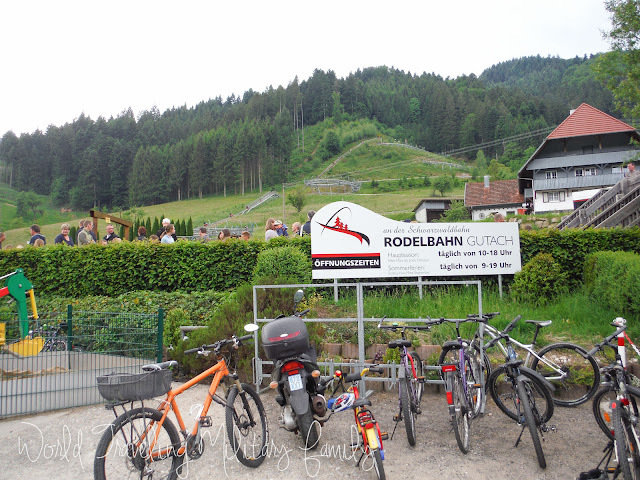 It’s only 7 mins from Dorothees Glass Hut in Wolfach, Germany. 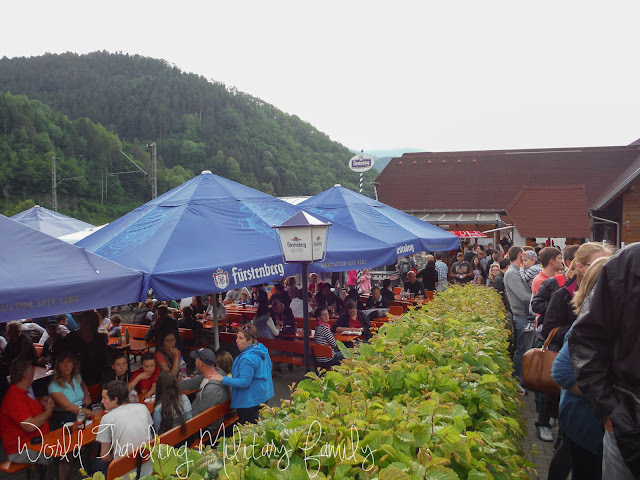 It’s also only 23 mins from Triberg, Germany. Also note it’s open on Sundays, which is great! We checked this out on a Sunday but it also happened to be the weekend of a German holiday so I think it was more crowded than it normally would be. Since it was so busy we chose to just get the one ride ticket. We waited about 15 mins in line before we got up to the ride. 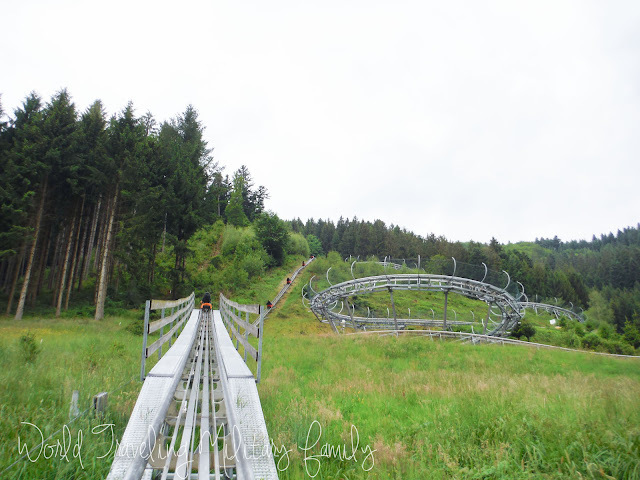 This coaster is much larger and steeper than the coaster in EifelPark and is so much fun! Bea was scared so she went down much slower than the rest of us, who flew down as fast as we could. Here is some video of going up and coming down! 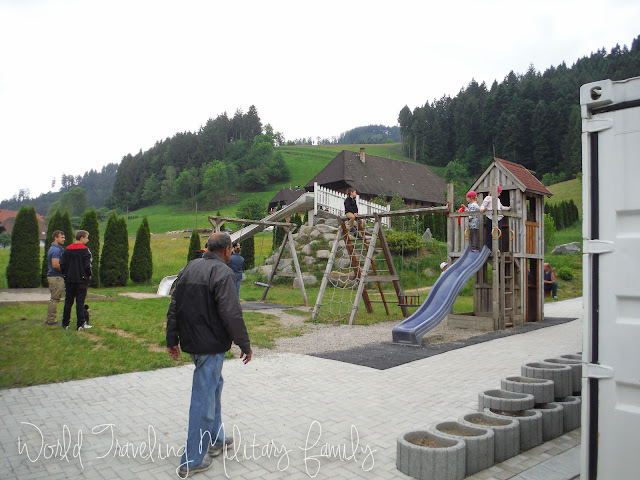 There is also a small playground behind the snack shop if you have little kids. This was probably the best attraction of the day for the boys. Bea was not a fan but she’s scared of heights and this was just a bit too much for her. Mr. B and I thought it was great family fun! Have you been here, what did you think?! Parking: Is free, overflow parking is in the grass area along the road. Cost: €2,50 for one ride per adult or €12 for 6 rides. Kids (ages 3-14) are €2 for one ride or €9 for 6 rides. Kids under 8 years old must ride with someone who is over 8 years old. Kids must be at least 3 years old to ride. Traveling with little kids: There is a small playground behind the snack shop for those who are traveling with little kids. Adults can tag team and take turns riding the coaster. How long: Plan on at least 30 mins to ride once if the lines are long, more if there are short lines and you want to ride several times. I love your blog! I spent several years living in Germany (Wurzburg and Garmisch) and this really takes me back! 🙂 I hope that you’re enjoying your time there! We are enjoying Germany and traveling all over!